Thanks to her appearance in the cult flick Mondo New York, Phoebe Legere is for many the quintessentially colorful “Downtown” artist, but the singer, multi-instrumentalist, and cabaret performer actually has roots in the Hudson Valley: She graduated from Vassar College in Poughkeepsie before going on to study with composers Morton Subotnick and Ira Newborn and pianist John Lewis of the Modern Jazz Quartet. On April 16, Legere will retrace those local roots when she brings her Bon Apétit Band to the Rosendale Cafe. Legere’s current group is aptly named for the occasion, and not just because they’ll be playing an eatery known for hosting exceptional live music. The Bon Apétit Band, which also features Tom Fitzpatrick on bass and Mick Oakleaf on spoons, rubboard, and drums, draws on French musette music as well as the music of the leader’s Acadian heritage. 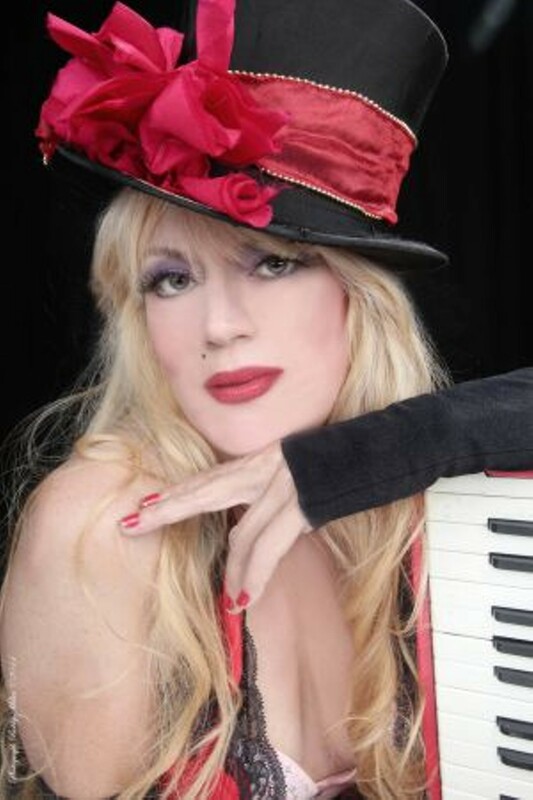 Phoebe Legere and the Bon Apétit Band will perform at the Rosendale Café in Rosendale, New York, on April 16 at 8pm. Tickets are $10. For more information, call (845) 658-9048 or visit http://www.rosendalecafe.com/.